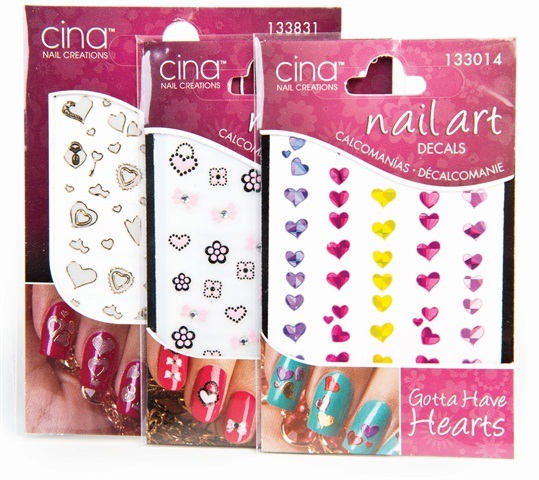 Cina Nail Art Decals come in themed collections that can be combined to add a little pizazz and flash to any client’s nails. The Hearts & Soul collection features black and gold trimmed white hearts in a variety of shapes. The Punky Princess has pink and white flowers, bows, and hearts. And the Gotta Have Hearts Collection has reflective holographic designs in varying shapes and colors. For more information, visit Cina.